Empty Bowls is an international project to fight hunger. It has become a unique aspect of local philanthropy in Montreal, thanks to potters who exhibit their creations, through the Unitarian Church of Montreal and Dorshei Emet Reconstructionist Congregation, and those who buy them. The idea is simple: visitors to an Empty Bowls exhibit spend $25 to buy a nutritious bowl of vegetarian soup, enjoy it, and leave with the bowl, donated by local artisans. It is a reminder of empty bowls in the world. According to the United Nations, some 795 million people do not get enough food for an active and healthy life. The concept was developed in 1990 by art teachers John Hartom and his wife Lisa Blackburn in Bloomfield Hills, Michigan, as a way to encourage high school students to raise funds creatively to fight hunger. Generations Foundation, Mazon Canada, MultiCaf, Nazareth House, NDG Food Depot, Patricia Mackenzie Pavilion of the Old Brewery Mission, Santropol Roulant, La Maison d’Entraide St-Paul/Émard, and les cuisines collectives du Grand Plateau. • Sat. 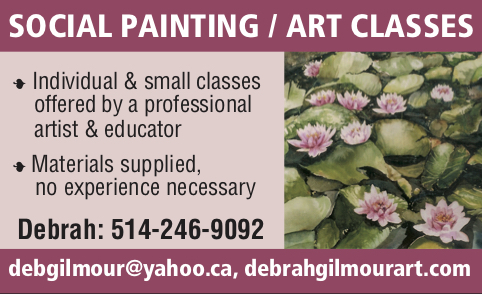 April 9, 10:30-3, NDG Food Depot, 2146 Marlowe. • Sun. 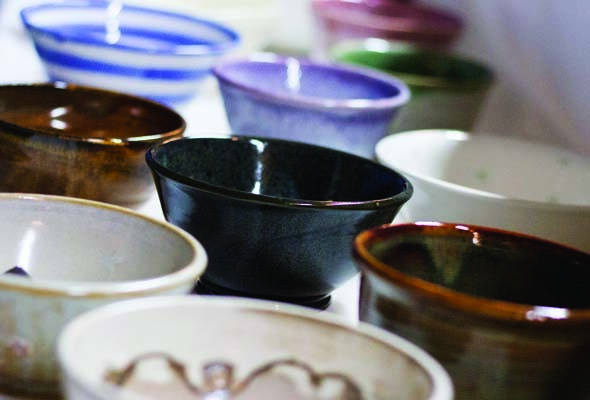 April 10, noon, post-service bowl sale for congregants only, Unitarian Church, 3035 de Maisonneuve W.
Be the first to comment on "Empty Bowl event to be held at Unitarian Church"